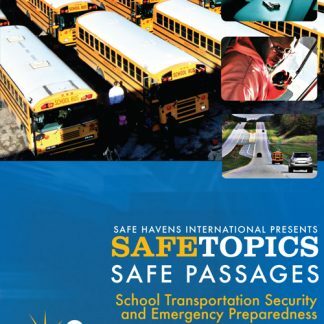 PLANNING FOR THE NEEDS OF EVERYONE DURING AN EMERGENCY is a critical component of any school organization. 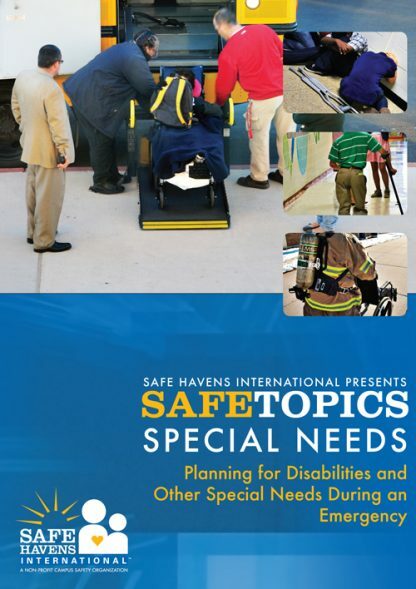 While most educational facilities have considerations in place for individuals with disabilities, many still lack a formal preparedness plan for dealing with special needs during a crisis. This train- ing resource aids in the development of a standardized plan that can be formalized across all facilities in an organization rather than relying on building-level efforts that can sometimes conflict with each other. 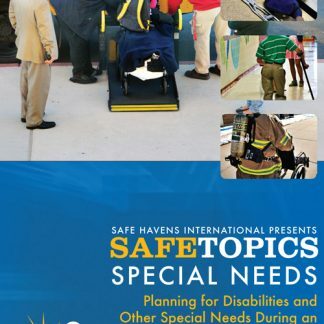 Part of an award winning training series, this video has been used by schools across the country to guide staff through the process of identifying those who may need special assistance and how to design a formal plan to use before, during and after an emergency situation on campus. This goes beyond the traditional definition of individuals with disabilities to include those with a short term disability like a broken arm or a leg, staff members and visitors who are pregnant or nursing as well as people who are learning English as a second language and may have difficulty understanding complex directions during a chaotic situation. 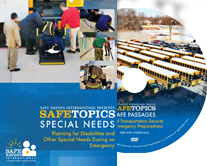 After viewing the video, staff will be able to use the documents included on this DVD to create a standardized Individual Preparedness Plan that can be used throughout the organization to enhance planning and provide a uniform approach to providing special assistance to staff, students and visitors. In addition to an Individual Preparedness Plan document, this DVD also includes additional documents to aid in planning, including a checklist that can be posted in specific areas where special equipment is located or where individuals may be located throughout the school day. This is useful as an orientation to staff members who are new to special needs issues on campus and for staff members who share a building with special needs students.